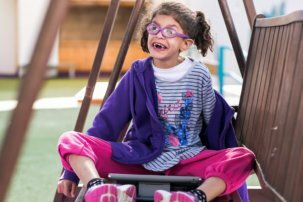 This week’s Shabbat Smile was written by Rabbi Lauren Tuchman, the first ordained female rabbi who is blind. As a rabbi and someone who is blind, I have a unique view of Moses (Moshe) and how G-d treated him. In The Book of Exodus, when we are introduced to Moshe, many interpret that he had a speech disability. In Exodus 4:10-16, G-d informs Moshe that he will lead the Children of Israel out of Egypt—from slavery to freedom. Moshe balks. He asks, “Who am I to lead this people? I am slow of speech and slow of tongue.” Perhaps Moshe felt self-conscious, unable to fully grasp his own potential and greatness. Perhaps he was not feeling up to the task for any number of reasons. I am often asked about the theology in this passage. Truthfully, for many years, I understood this passage quite negatively. Does G-d countenance ableism and institutionalized oppression that many people with disabilities encounter daily? How can I connect to a G-d who made me as I am, in a world that presents so many barriers for people with disabilities? Is that not a punishing theology? Sounds like a holy accommodation, wouldn’t we say today? Still, Moshe resists, pleaing for G-d to choose someone else. It is as if Moshe cannot internalize G-d’s message: That Moshe is perfect, as is, because G-d made him in His image. I empathize with Moshe. As people with disabilities, far too many of us have been told, No, you can’t do that; it’s not possible; it’s never been done. This is what we often internalize; and we often settle for what we have; which is seemingly apologetic for our very existence. For too many of us, with our histories of systemic exclusion in our Jewish communities, imagining anything different is too painful. Sometimes the barriers feel so formidable. We’ve been told so often (in unsubtle and subtle ways) that we don’t matter, and/or that it’s too difficult or too costly to make accommodations for us. It is often easier to walk away and disengage. As an Am Yisrael, what Torah are we losing, when we turn our fellow Jews away? It is as if we take one look at a person with a disability and assume the return on investment (to borrow a business term) is too low. Yet when we invest in all of us, as G-d demands, our spiritual return on investment will be so much greater. G-d knew that Moshe was ‘stuck’ and filled with self-doubt: a common consequence from society’s attitudes that we with disabilities – then and now – internalize. I am the first blind woman in the rabbinate (to my knowledge); yet I, too, find myself not believing things are possible because of my own history of exclusion. Sometimes, the hard truth is that accessibility cannot be achieved. Many times, the only missing ingredient is attitudinal and what is needed is out -of-the-box thinking and a willingness to take risks. Despite Moshe’s self-doubt, G-d dubs him the right leader. There was no need to consult anyone about cost or feasibility of a reasonable accommodation. G-d simply did what was right. Accommodations are foundational, not an afterthought. 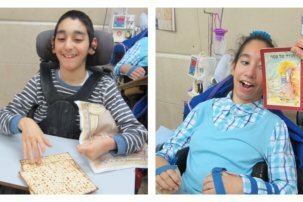 Moshe’s story is our holy reminder that accommodations allow us to express our most authentic selves. And it is a sanctified reminder that our People, K’lal Yisrael, are surely better off as a result. 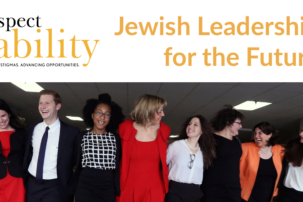 In our weekly Shabbat Smiles, RespectAbility welcomes a wide spectrum of voices. The views expressed in each Shabbat Smile are those of the guest contributor. The Shabbat Smile is curated and edited by Debbie Fink, RespectAbility’s Director of Community Outreach and Impact and Vivian Bass, RespectAbility Executive Committee Board Member.